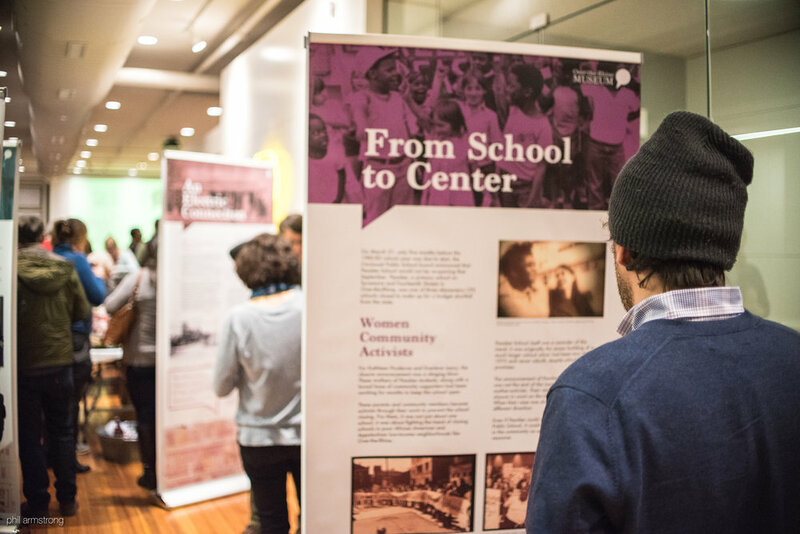 The Stories of Over-the-Rhine traveling exhibit combines the personal stories of individuals from across time with specific locations in Over-the-Rhine. Together these human and geographic stories reveal larger national trends and Over-the-Rhine’s place in them. The entire exhibit of six easy-to-install, portable panels is available to display in your church, business, or storefront. Hosting the exhibit is a great way to show your connection to the neighborhood and display these incredibly rich histories. Each double sided panel tells two stories of Over-the-Rhine, front and back. This exhibit was funded by a Communication in the Urban Environment (CUE) grant through the University of Cincinnati. Click through the slideshow below to view our 12 panel topics. If you would like to exhibit the panels on your site, please contact us at hello@otrmuseum.org.